St. Andrew’s Church, now known as St. Andrew’s House. 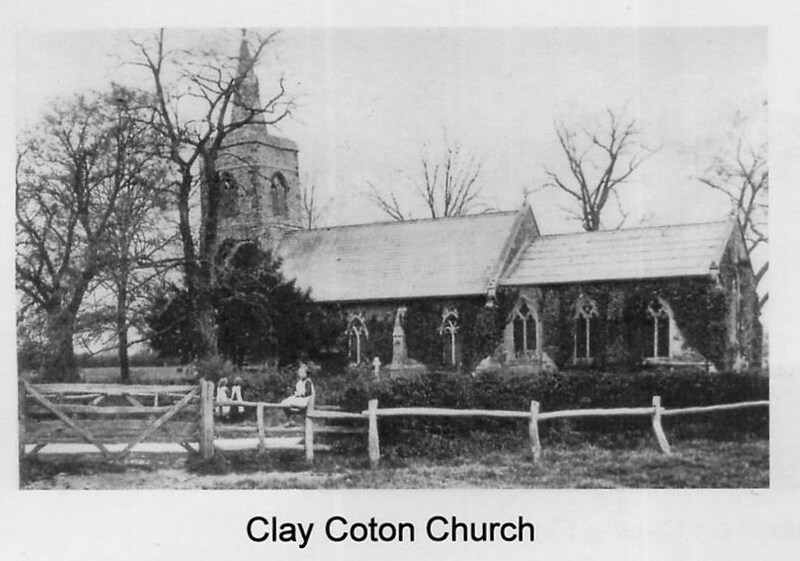 A photograph of the Church of Andrew, Clay Coton. Northamptonshire taken possibly in the early years of the 20th. century. Courtesy of Yelvertoft History Group. Please respect, that the Church is now a private residence and has been, for many years, Thank you. Purely historically, Clay Coton was formerly within the P.D.G.C.B.R. Guilsborough branch area. The parish still forms part of the United Benefice of Crick with Yelvertoft & Lilbourne with Clay Coton, hence it is included in this section. Treble. 1810. (28″dia.) John Briant of Hertford. 2nd. 1615. (31.5″”dia.) Hugh II Watts of Leicester. Tenor. 1619. (34.75″dia.) Hugh II Watts of Leicester. Ref:- The Church Bells of Northamptonshire. by T.North. St. Andrew’s Church closed its doors c1960, up to then, the three bells were rung for Sunday Services.